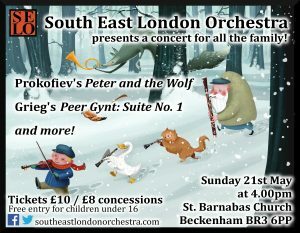 On Sunday 21 May, St Barnabas welcomes South East London Orchestra for its latest concert. This is a concert for everyone, featuring some very accessible pieces of orchestral music which tell wonderful stories through melody – a great programme for children and for those who are less familiar with classical music. 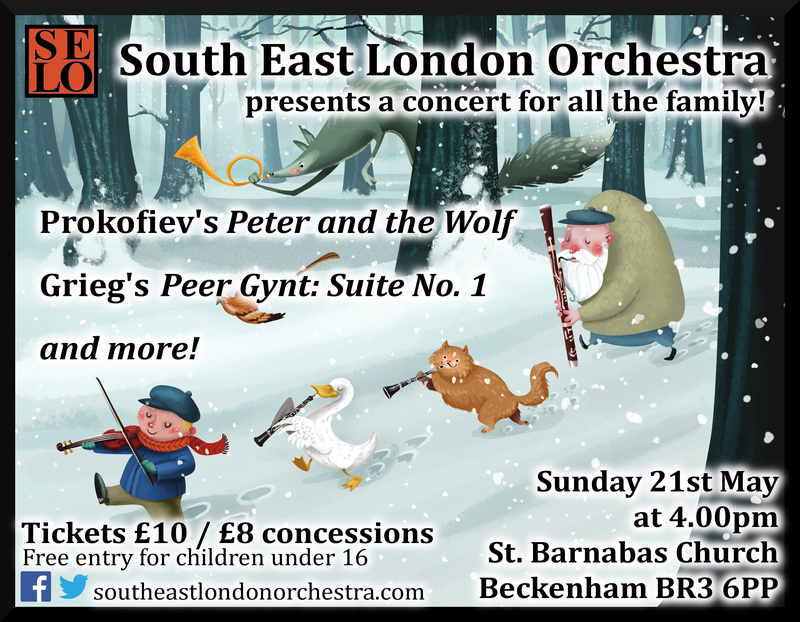 SELO would love to see both younger and older children who would be interested to sit and listen to an orchestral concert (primary school age and above would be best, as it will be a “normal” concert environment and not designed as a participating event for babies or very young children). Entry for children under 16 is free. The interval is always a sociable event – tea and homemade cakes will be available as ever.